Current Eyeglasses and Sunglasses Specials from Westlake Hills Vision Center! Is it time to update your eyewear? Reach out to us, and we’ll get you booked for a visit. Unlock your best look and your best eyesight with our wide range of flexible insurance and payment options. 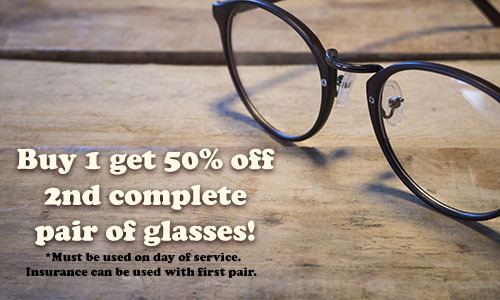 Want to stop in and check out our selection of premium eyeglasses, sunglasses, and contact lenses?